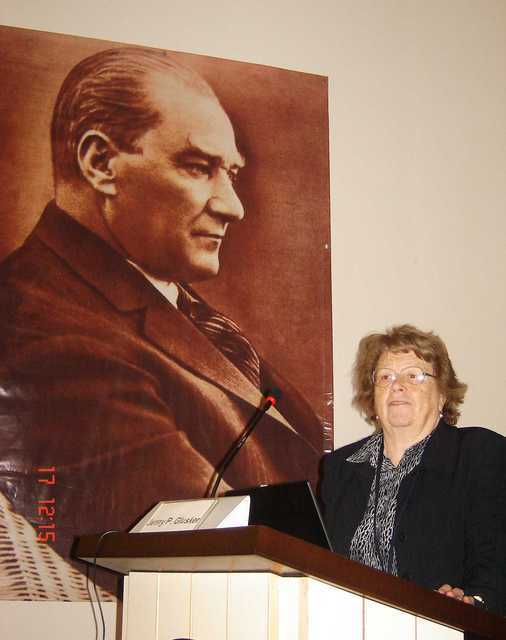 William L. Duax opens proceedings at Erciyes University, in front of a portrait of Mustafa Kemal Atatürk. Jenny Glusker, Bill Duax (right). 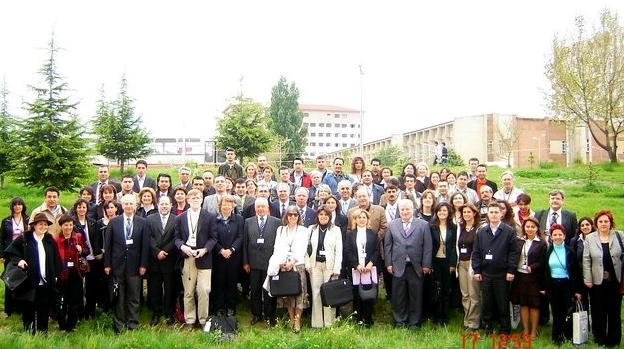 Front: Engin Kendi, Bill Duax. Poster prize ceremony. Bill Duax at the podium. 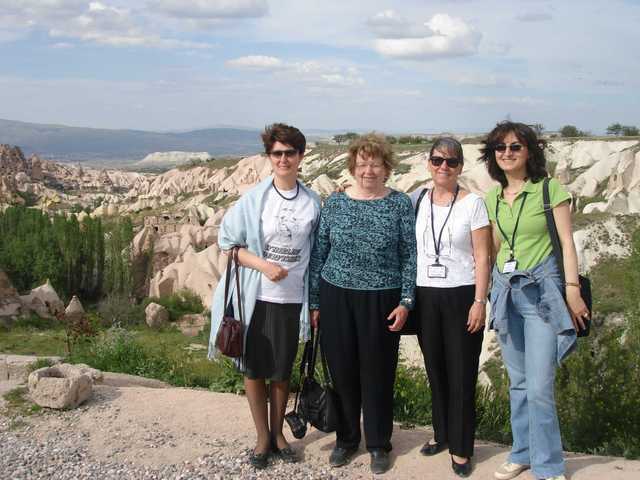 ?, Jenny Glusker, Engin Kendi, Süheyla Özbey.